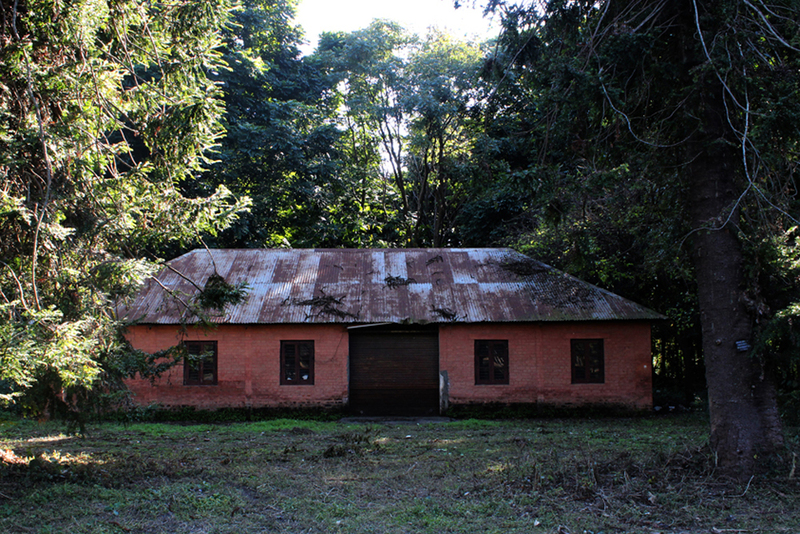 One gets to see these old abandoned colonial time buildings at the institute entrance. 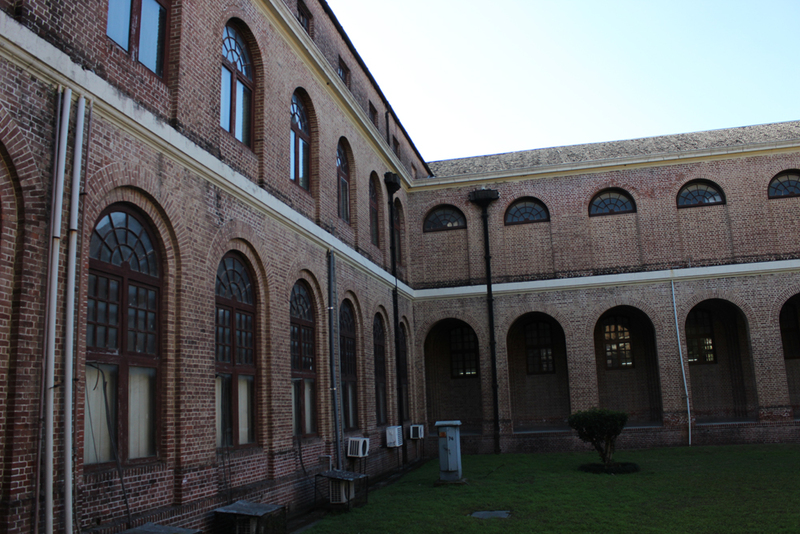 Back side of the main building against the lawns. The mighty pillars in the main building. 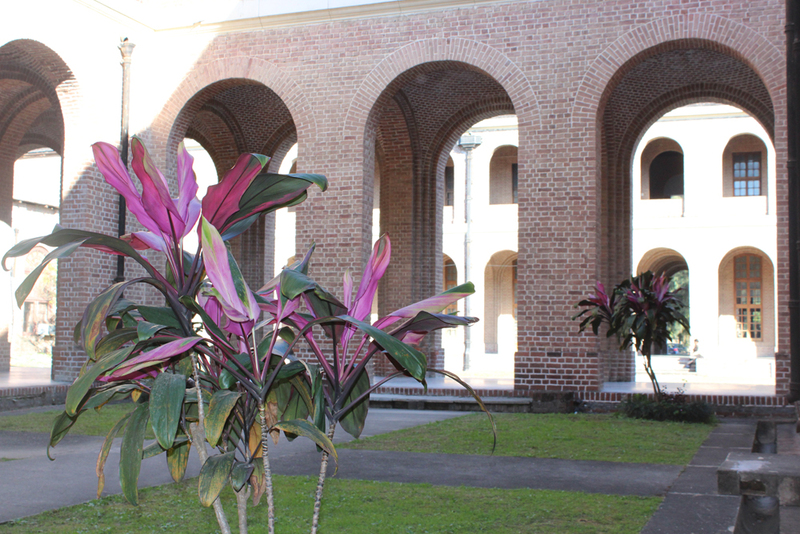 Inside courtyard in the main building. Big windows allow plenty of sunshine inside the old building. 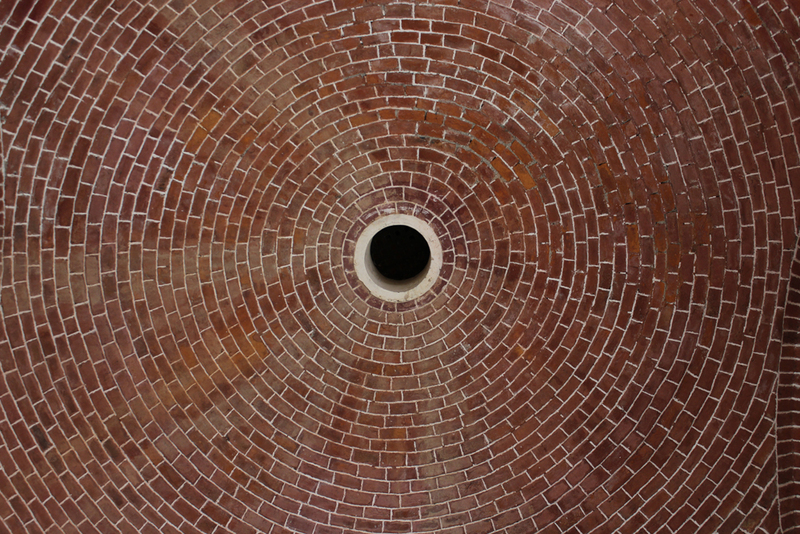 The red bricks on the ceiling have been put with absolute craftsmanship. 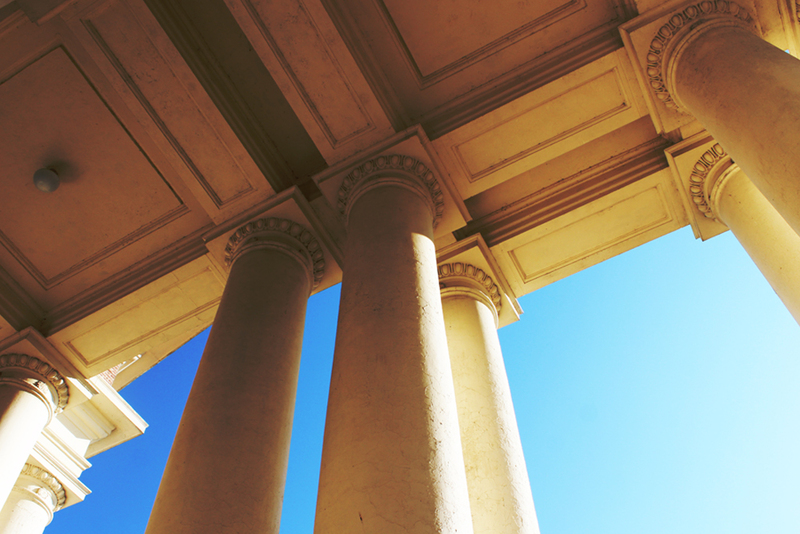 The main building looks magnificent from every angle. Another angle of the main building. Huge corridors are well ventilated with air. 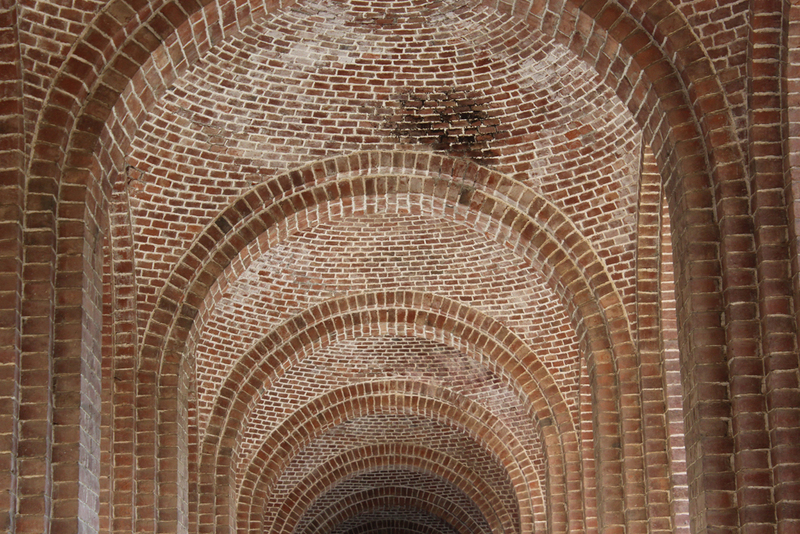 The brickwork is amazing in the corridors. The mighty look of the front side of the main building. 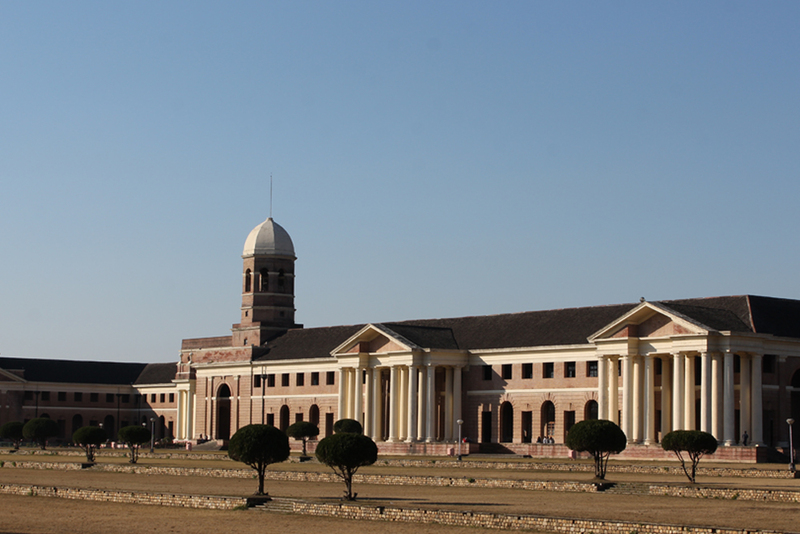 Forest Research Institute is a premier institution in the field of forestry research in India. 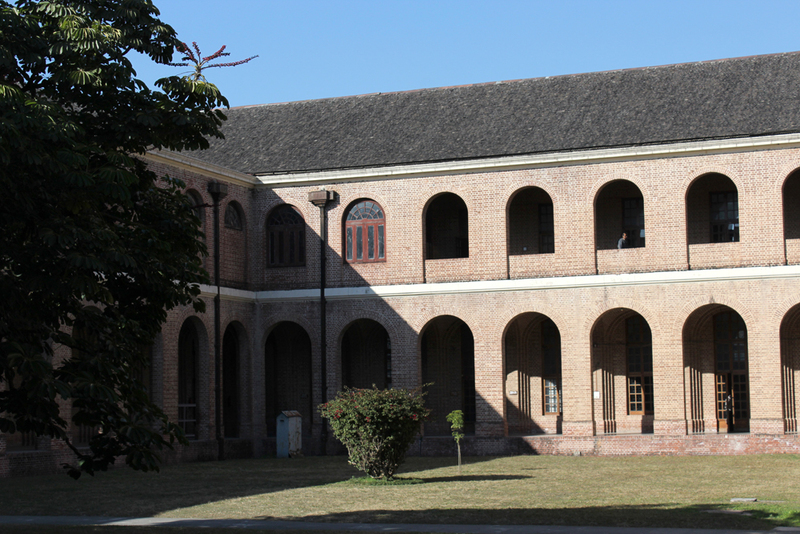 It is located in Dehradun, Uttarakhand, and is one of the oldest institutions of its kind. 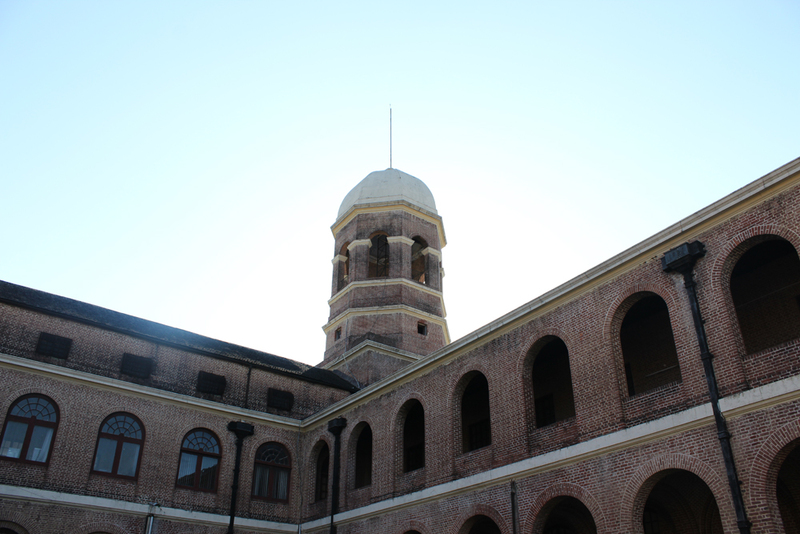 It was established as Imperial Forest Research Institute in 1906. Styled in Greeko Roman Architecture by C.G. 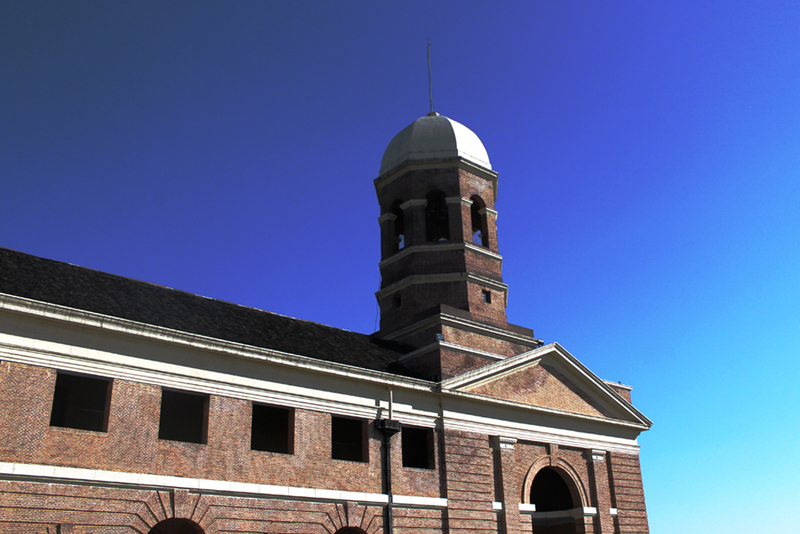 Blomfield, the main building is a National Heritage which was inaugurated in 1929. There is hardly any visitor to this region who has not seen this grand building and the museum it houses. 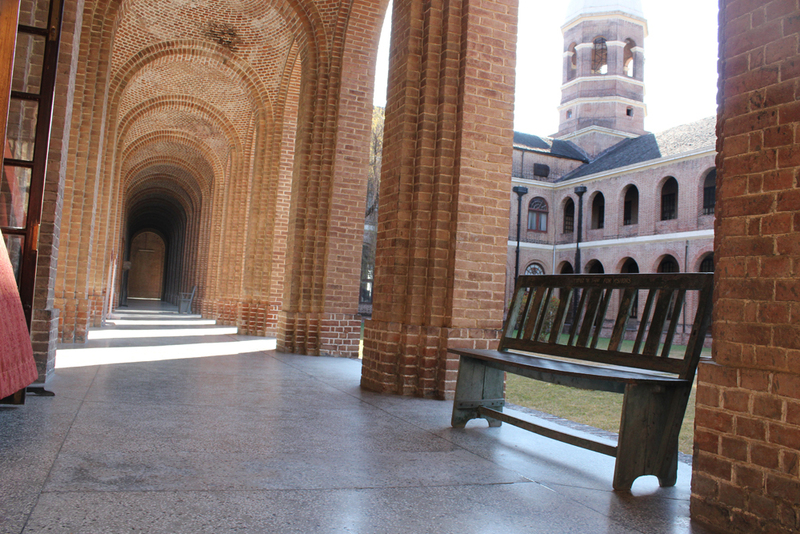 Of late, several Hindi films and even South Indian films have been shot at this campus. FRI is the oldest building of its kind with its unique architecture. 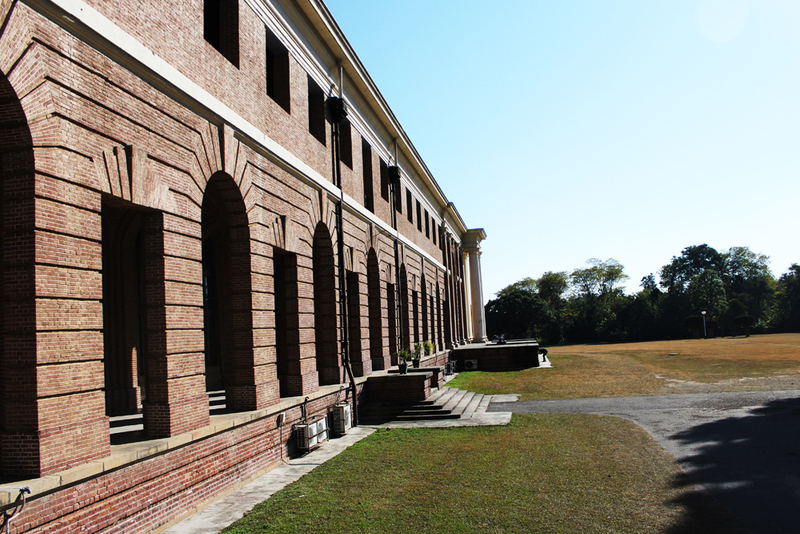 Built over a lush green estate spread over 450 hectares, the institute’s main building is an impressive edifice marrying Greeko Roman and Colonial styles of architecture. The FRI with its majestic building also houses a Botanical Museum for attraction of tourists.